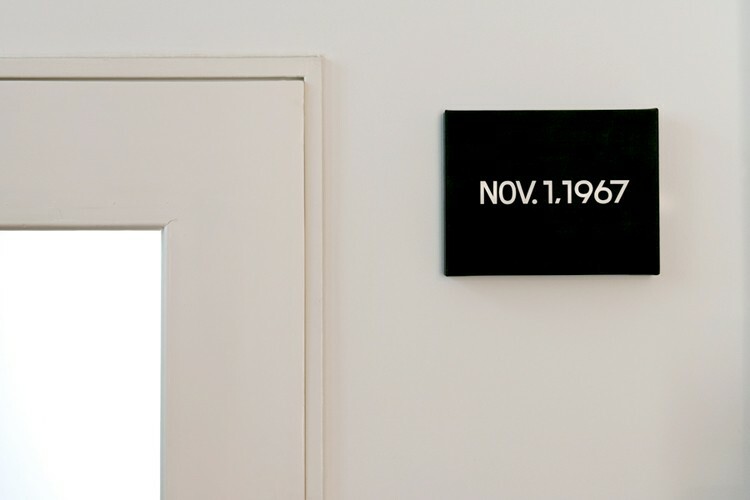 Time and painting is bringing together two supposedly opposite concepts in a likewise supposedly opposing practice of two artists: On Kawara and Roman Opalka. 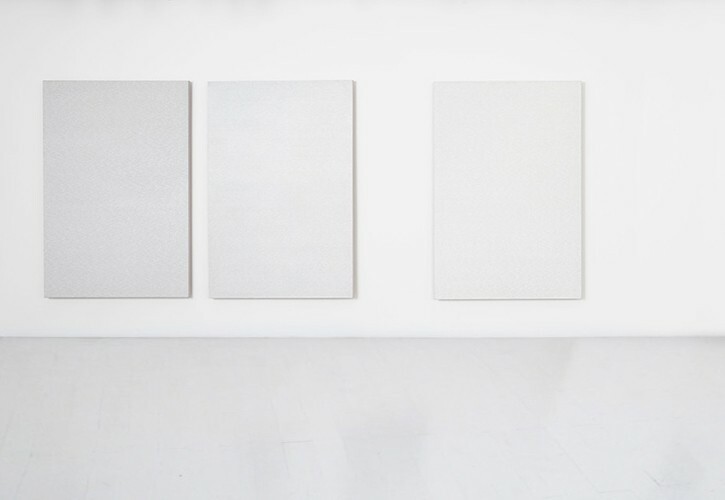 Although the time and process of painting becomes a quality physically embodied into their works, it is essential, for the former the process is of significance is not the finite or infinite, but the actual moment (of the present), which then can be explained through neither of the concepts. The fleeing moment is neither complete nor incomplete, it simply is. The installation in our project space is thus pointing to the existential quality in painting of present artists. For the painter, to be alive, means simply to paint. This very action becomes a means of recording his existence and meaning for it at the same time.